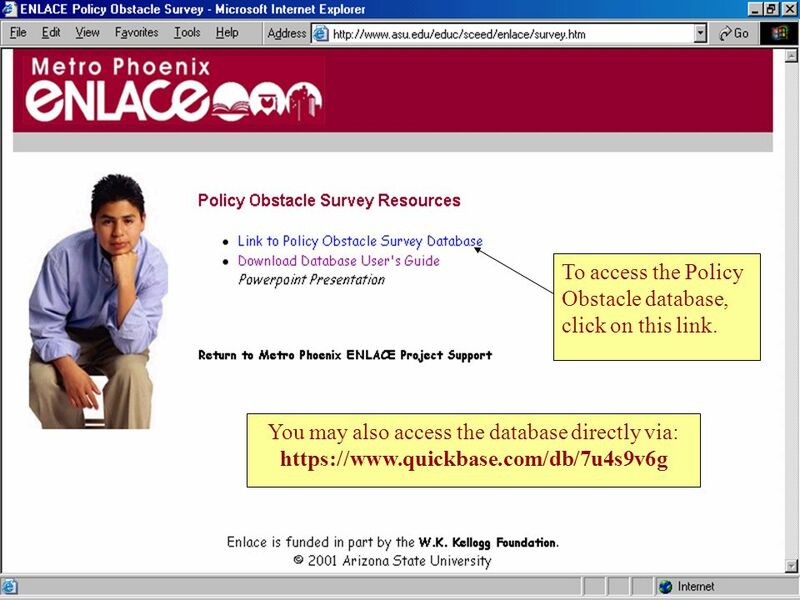 Policy Obstacle Survey Online Database User’s Guide v. 3.0 Josué M. González, Principal Investigator Metro. 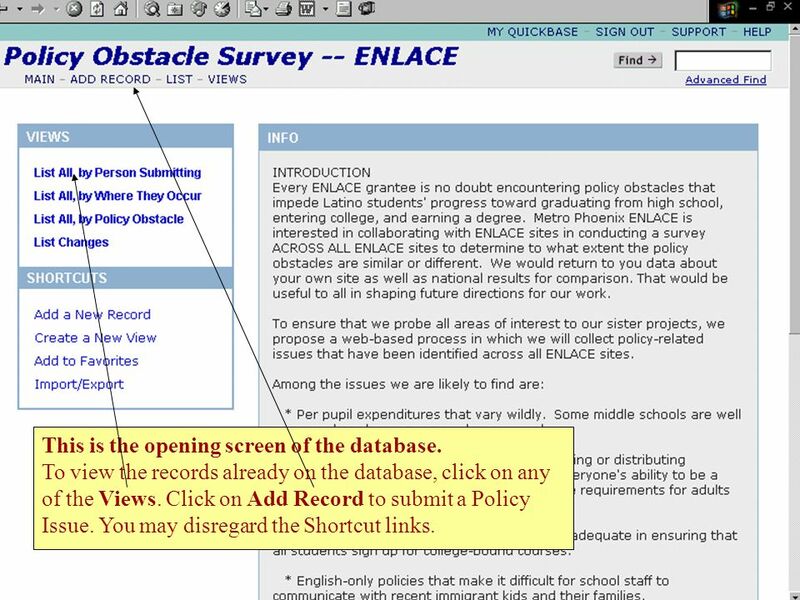 2 Project Purpose To record similar policy obstacles felt across ENLACE sites. 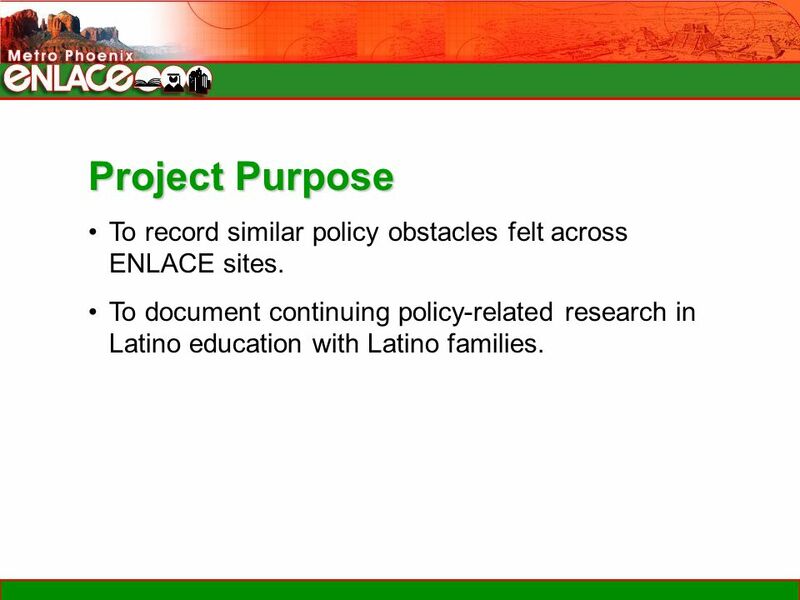 To document continuing policy-related research in Latino education with Latino families. 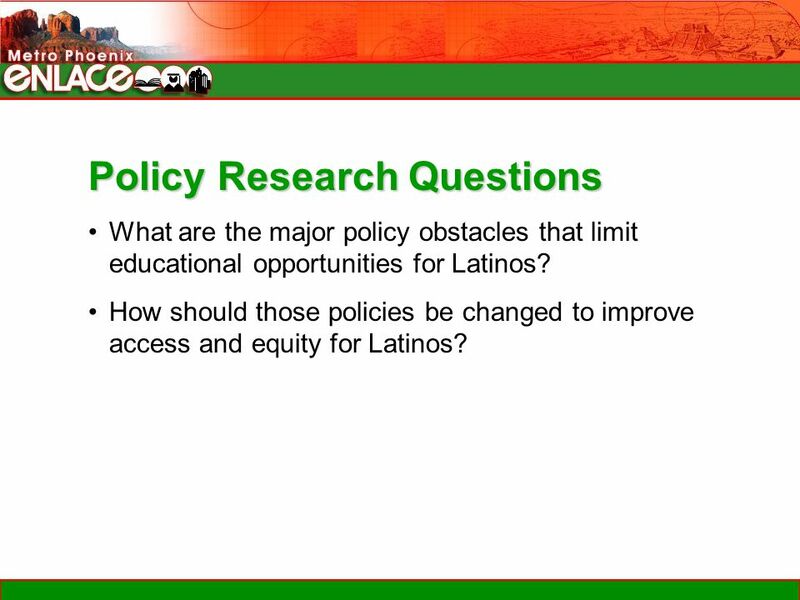 3 Policy Research Questions What are the major policy obstacles that limit educational opportunities for Latinos? How should those policies be changed to improve access and equity for Latinos? 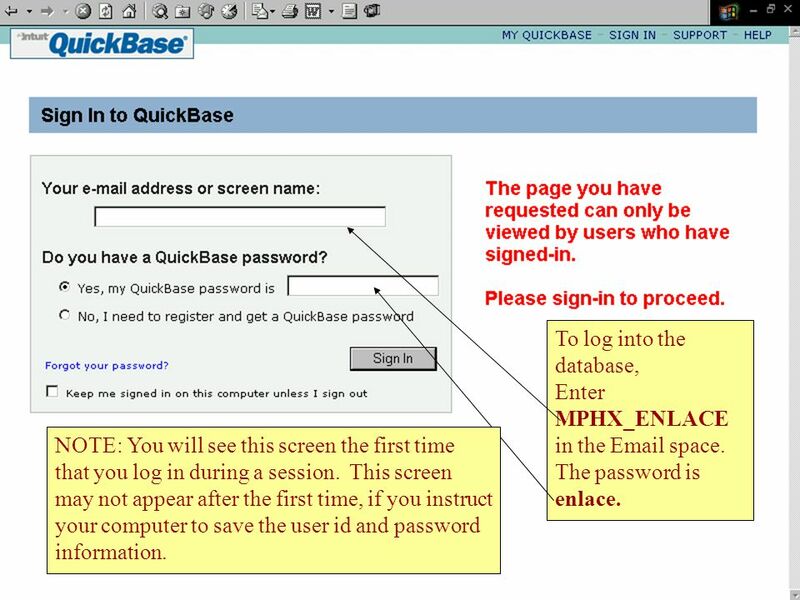 5 5 To log into the database, Enter MPHX_ENLACE in the Email space. The password is enlace. NOTE: You will see this screen the first time that you log in during a session. This screen may not appear after the first time, if you instruct your computer to save the user id and password information. 6 6 Your first visit to the database may show a screen that looks like this one. 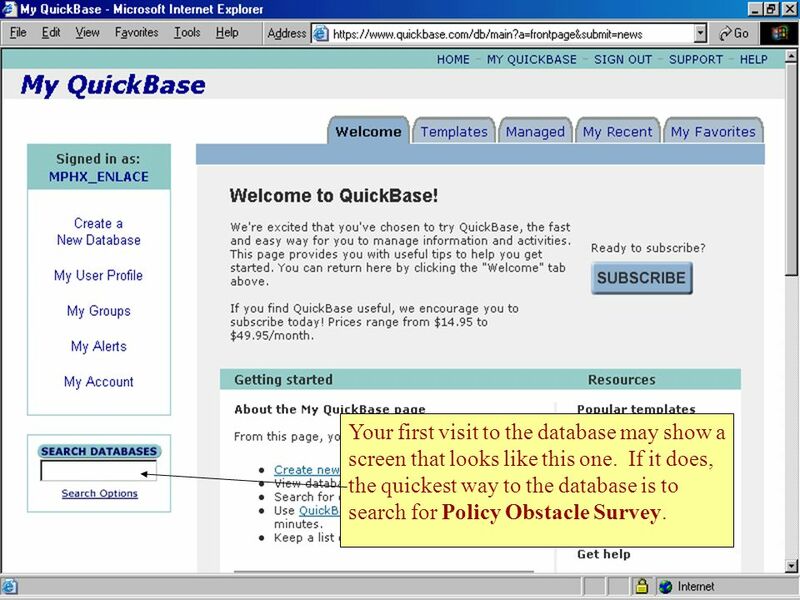 If it does, the quickest way to the database is to search for Policy Obstacle Survey. 7 7 This is the opening screen of the database. To view the records already on the database, click on any of the Views. 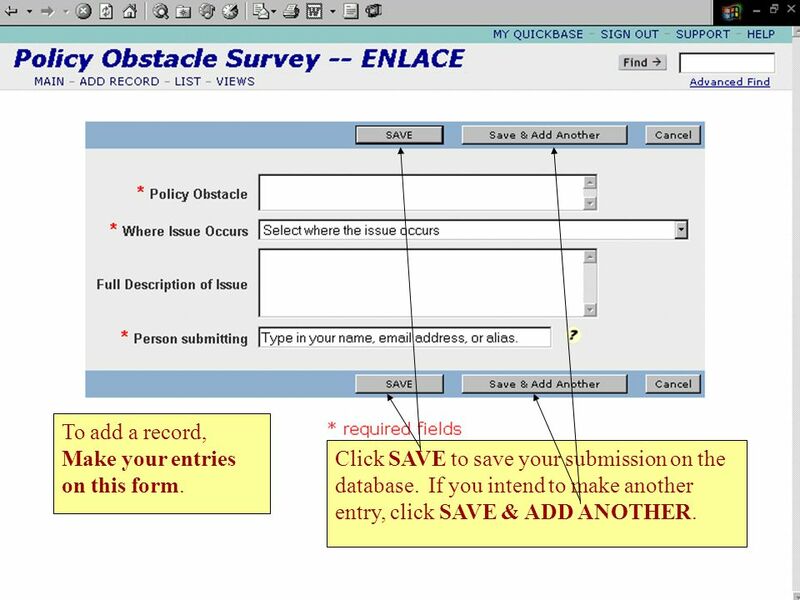 Click on Add Record to submit a Policy Issue. You may disregard the Shortcut links. 8 8 To add a record, Make your entries on this form. Click SAVE to save your submission on the database. If you intend to make another entry, click SAVE & ADD ANOTHER. 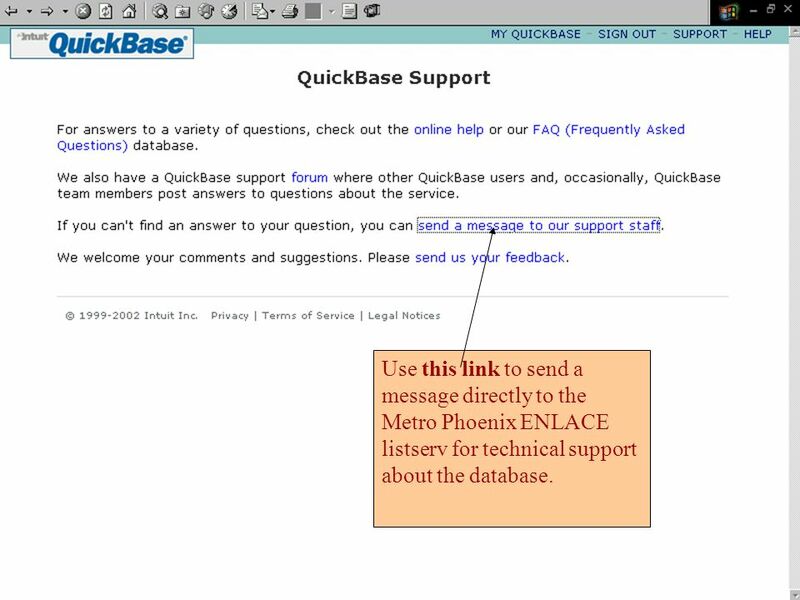 10 10 Use this link to send a message directly to the Metro Phoenix ENLACE listserv for technical support about the database. 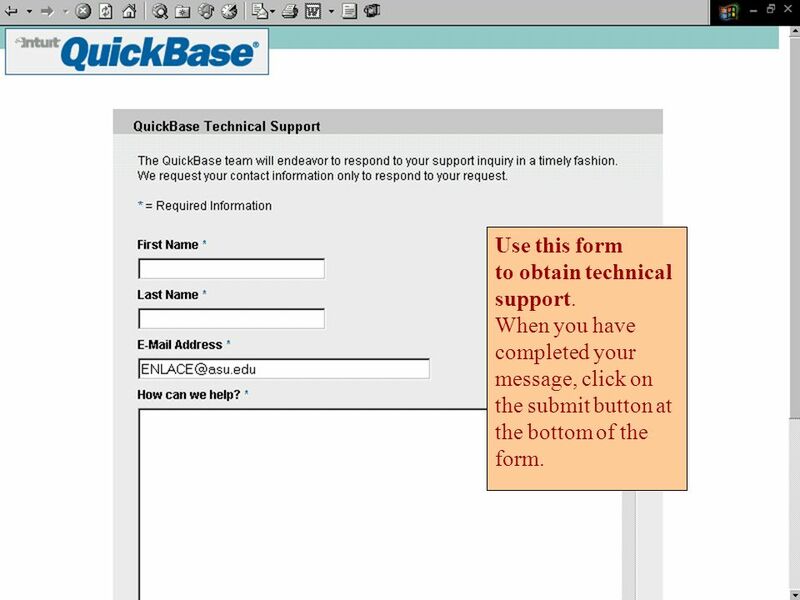 11 11 Use this form to obtain technical support. When you have completed your message, click on the submit button at the bottom of the form. 12 NOTES Screen displays may appear slightly different on your computer. For additional assistance using the database, contact Elsie Szecsy (Email elsie.szecsy@asu.edu, or phone 480-965-7134). 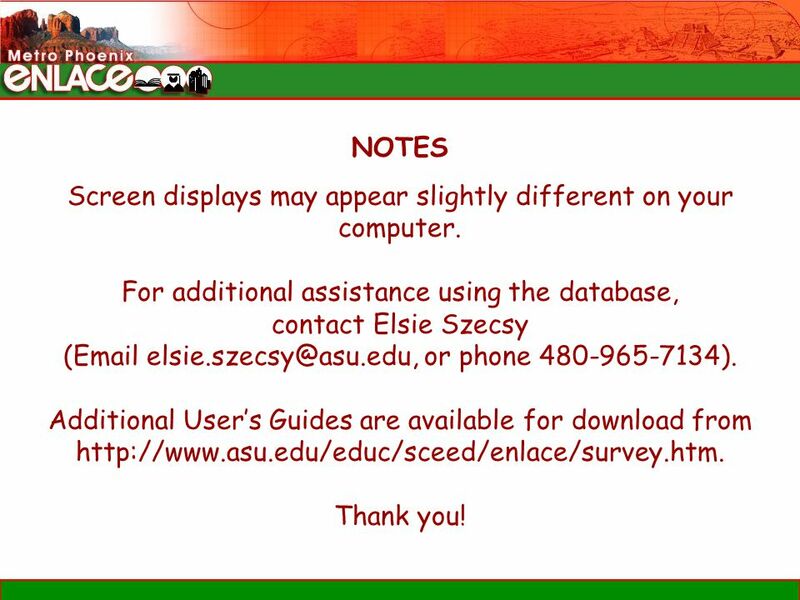 Additional User’s Guides are available for download from http://www.asu.edu/educ/sceed/enlace/survey.htm. Thank you! 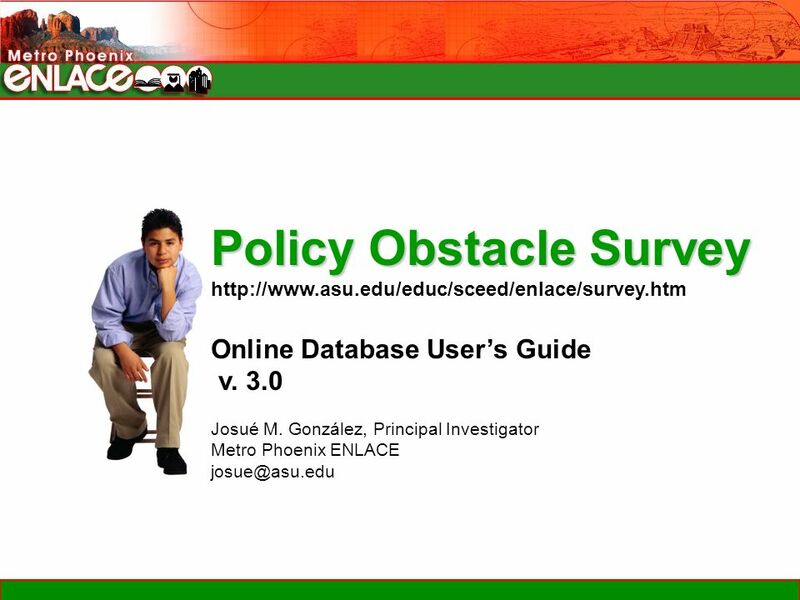 Download ppt "Policy Obstacle Survey Online Database User’s Guide v. 3.0 Josué M. González, Principal Investigator Metro." Slide 1 FastFacts Feature Presentation September 4, 2012 To dial in, use this phone number and participant code… Phone number: Participant. Slide 1 FastFacts Feature Presentation February 21, 2013 To dial in, use this phone number and participant code… Phone number: Participant. CCS Service Request Crow Canyon Systems Installation Folder Structure Setup and Configuration Initial Service Request Process Listen For more information. Forgot your password? Click Reset Password to reset your Self-Service password. User name: Lone Star address (e.g. Cisco Confidential 1 © Cisco and/or its affiliates. All rights reserved. Last Updated: April 2014 Instructions for Navigating in the Training.